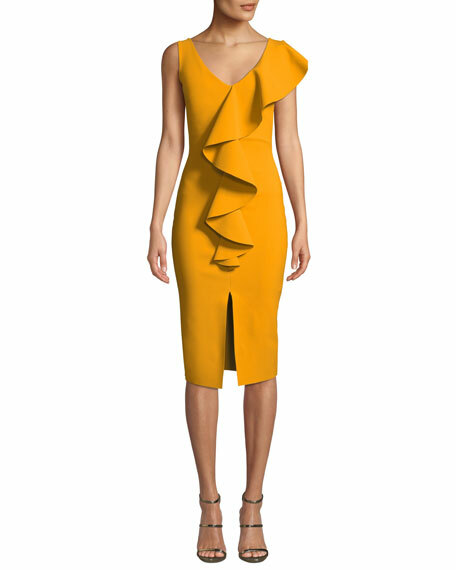 Tre by Natalie Ratabesi cocktail dress in ruffled silk. Chiara Boni La Petite Robe "Audrine" cocktail dress with ruched bodice. High neckline; keyhole at chest. Sleeveless. Twist detail at waist front. Body-conscious silhouette. Knee-length. Raw-edge hem for ease of tailoring. Step-in style. Nylon/spandex. Made in Italy. 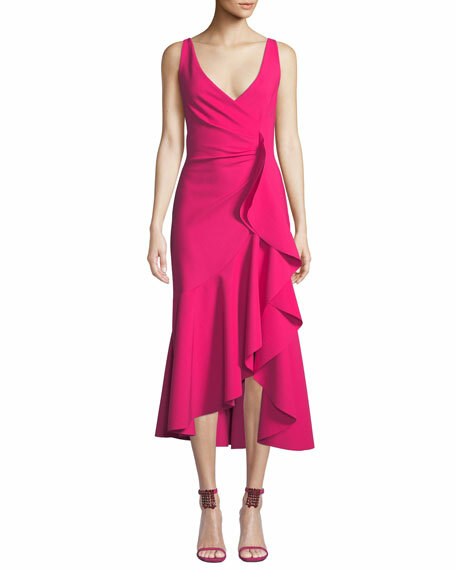 Chiara Boni La Petite Robe dress with flounce ruffles. V neckline; scoop back. Sleeveless; wide straps. Wrap-illusion front. Body-conscious silhouette. Raw-edge hem for ease of tailoring. 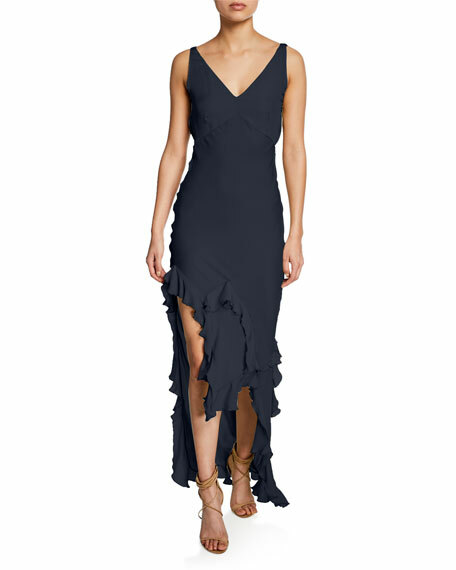 Asymmetric ruffle trim. 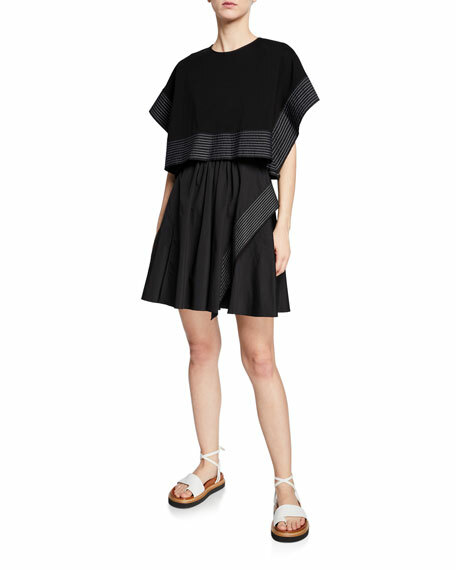 High-low hem. Step-in style. Nylon/spandex. Made in Italy.